Lou Reed would like you to know he really, really likes black. Tomorrow history will be made. 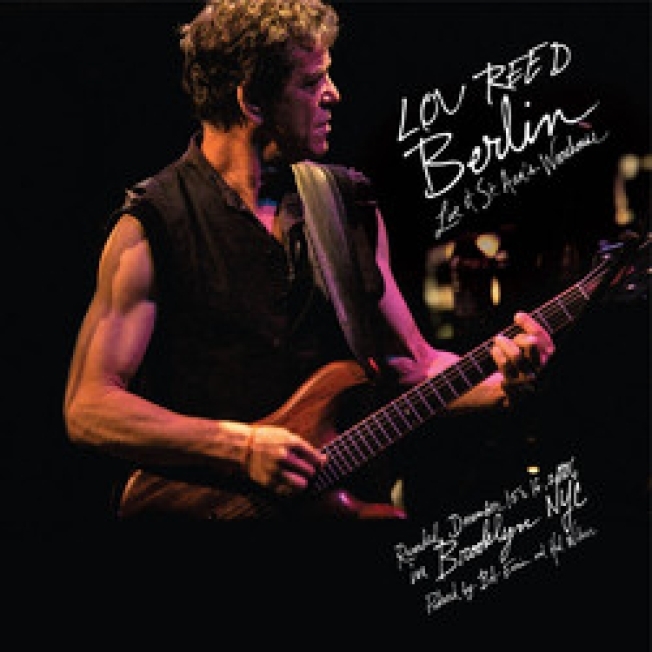 Yes, if you said that is the day Lou Reed's Berlin: Live at St. Anne's Warehouse will be released by Matador, you win. You are also probably voting for the socialist candidate from PSL, but hey, you're a big fan of the impossibly obtuse follow-up to Transformer (which contained "Walk on the Wild Side"). When Berlin was originally released in 1973 one Rolling Stone critic compared it to "taking the listener into a distorted and degenerate demi-monde of paranoia, schizophrenia, degradation, pill-induced violence and suicide." And those were the parts he liked. When Reed, after talking about doing so for 30 years, finally staged the piece in 2006 for five nights of shows at St. Ann's Warehouse in Brooklyn he brought along quite an entourage, including Sharon Jones, Antony (of and the Johnsons), a seven-piece orchestra, the Brooklyn Youth Chorus and painter-filmmaker Julian Schnabel, who documented the shows. The concert is available in every medium imaginable: DVD (Schnabel's film of the shows), CD, MP3, Flac and double-LP. With the cast of characters involved, it's also a document of nNew York City royalty in an appropriate venue.